“Some faces were tagged. Click to name them !” Funny Through ! 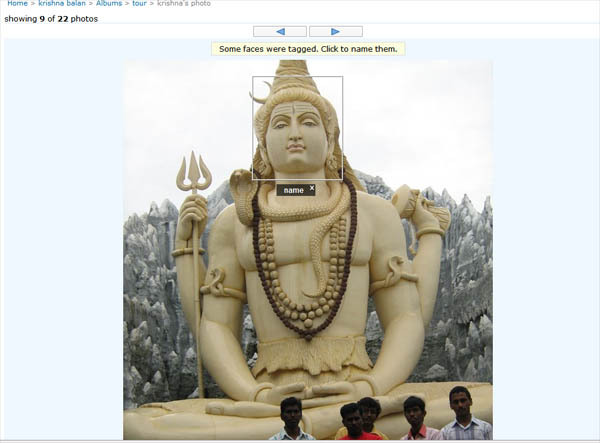 Finally i can Tag Lord Shiva’s photo but does he have an Orkut Profile ? Next Post → Vacation – Make it Mandatory in your Life. That’s a very nice one. Very useful for people who want to know whose face is that or something.